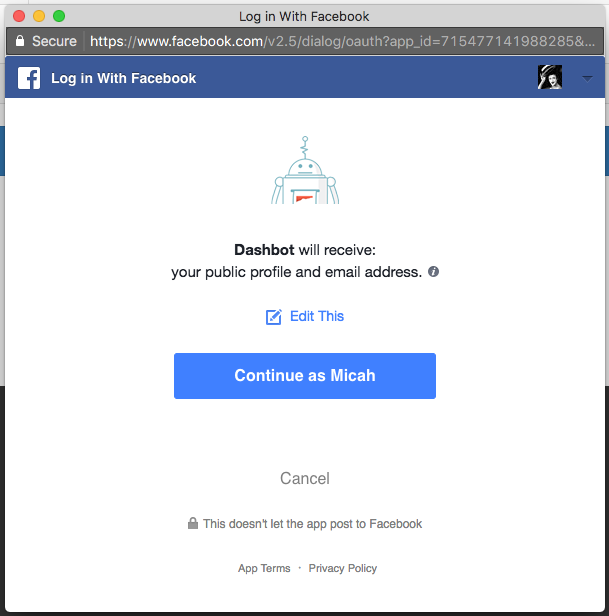 This is the simplest way to integrate your Facebook bot with Dashbot. If you are using a bot creation platform (e.g. Chatfuel, PullString, Dexter, Octane, etc) this method works great as well. View step by step instructions in the video below. In order for Dashbot to see your conversations, you’ll need to give us permission. You need to have admin access to your Facebook bot. Choose the Facebook Page that is connected to your Bot. You're all set. Go to Dashbot and look at your conversations! 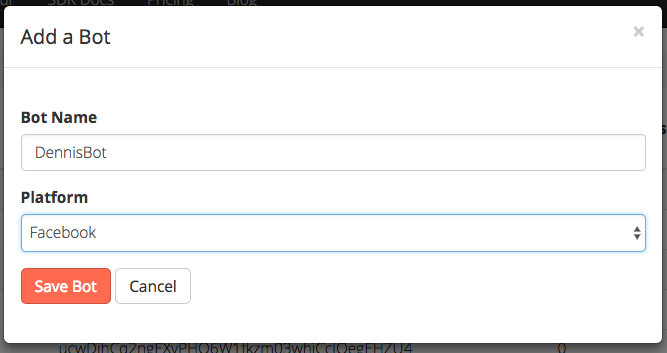 If you send your bot a message, you will see it immediately in Firehose and Live Transcripts. Past conversations will not be loaded. If you want analysis of past data, contact us.